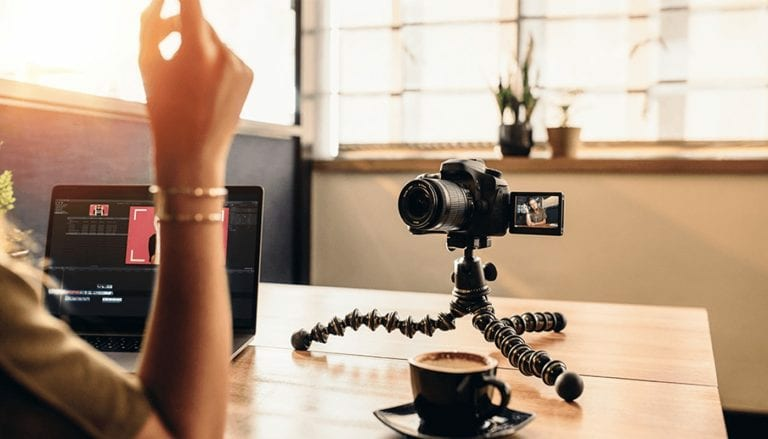 Because videos are continuously being uploaded, downloaded, and consumed online, video marketing has become an increasingly popular way to engage with consumers. In fact, 84 percent of consumers have been convinced to make a purchase after watching a brand’s video. Utilizing video marketing trends is a tremendous opportunity for marketers to take their brands to new heights. Continue reading to learn about the top five video marketing trends of 2018 and why you should incorporate them into your brand’s digital marketing strategy. Using live video allows a brand to take a more personal approach to marketing. Instead of being edited to perfection, live videos are raw and authentic. The instantaneous nature of live streaming allows for immediate feedback from viewers and makes things like Q&A sessions, behind-the-scenes content, and live events possible between brands and viewers. Viewers are also more likely to tune into the live video since they will not remain available forever, unlike pre-recorded videos. 360-degree videos give viewers a first-person experience, completely immersing them into the video. They can look around in every direction and view the product or service being marketed from every perspective. If you’re trying to sell an experience, like a trip to Disney or a ride in a brand-new car, 360 videos bring viewers that experience through their screens. This technique opens the door for countless creative possibilities. Video marketing is an effective approach to communicating your brand’s message in a clear, concise way. There are several ways to use e-learning videos to benefit your brand. You can post videos of how to use anything from makeup to new cars to apps. Video tutorials are much more engaging than reading a plain text tutorial. Rather than sharing links of videos, marketers should be posting native videos that are optimized for display on each social platform. Viewers can watch the native videos in their feeds seamlessly. Native videos are more engaging and shareable, focusing more on storytelling and entertainment, rather than a sales pitch. The Front Porch Solutions team is here to help you utilize the top video marketing trends of the year! Contact us today to discuss how we can help create a successful video marketing strategy for your brand.